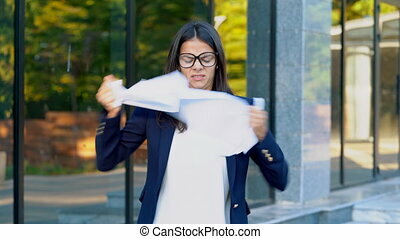 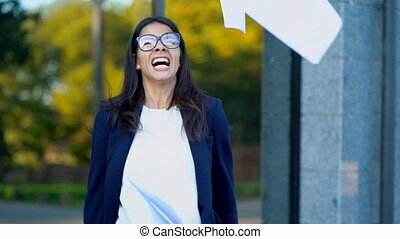 Serious businesswoman tearing contract in pieces. 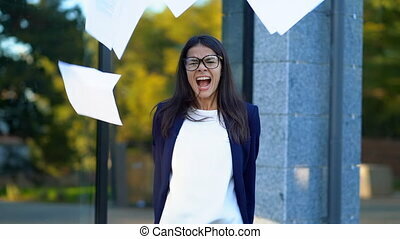 Angry furious female office worker throwing crumpled paper, having nervous breakdown at work, screaming in anger, stress management. 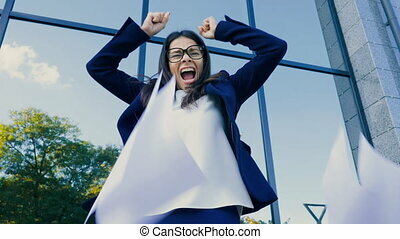 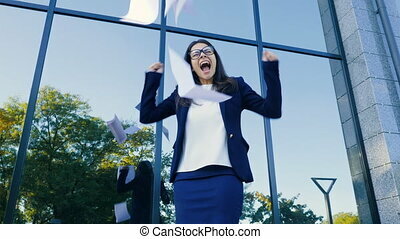 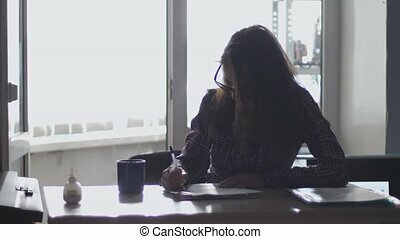 Angry furious female office worker throwing crumpled paper, having nervous breakdown at work, screaming in anger, stress management, mental distress problems, losing temper, reaction on failure.